Dwight Yoakam: Guitars, Cadillacs, Etc. Etc. The context: Like countless other aspiring singer-songwriters raised on Hank Williams, Johnny Cash, and Bakersfield honky-tonk, Ohio native Dwight Yoakam moved to Nashville with dreams of country stardom. But his old-school style was out of step with the pop-oriented "urban cowboy" movement of the late '70s and early '80s, so he left for Los Angeles and started playing punk clubs in addition to the country circuit. 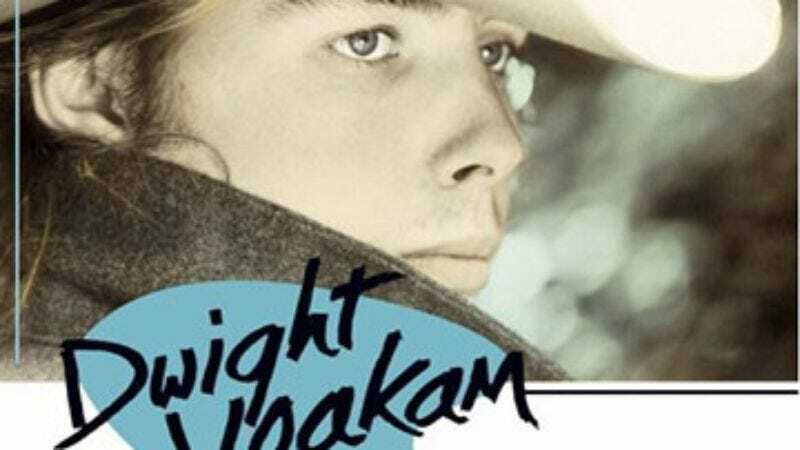 Yoakam's "cowpunk" sound would be classified as alt-country just five years later, but he remained focused on country radio when he made his 1986 debut full-length album, Guitars, Cadillacs, Etc., Etc. The greatness: Along with Randy Travis and Steve Earle, Yoakam was a leader of the new traditionalist movement in mid-'80s country music. But while Travis became a radio star with a series of slick tearjerkers, and Earle blazed a stubbornly lonesome trail miles away from mainstream country (aesthetically and politically), Yoakam split the difference on Guitars, Cadillacs, Etc. Etc. with music rooted in tradition that also had contemporary appeal. He proved himself a true acolyte of the Bakersfield sound—which emphasized the dance floor and songs that demanded to be played loud on car stereos—over alt-country staples like poor folks and screen doors. Yoakam did sing about the common man: "Miner's Prayer" could fit comfortably on any Uncle Tupelo record. But Guitars, Cadillacs, Etc. Etc. proved the commercial viability of classic country by topping the Billboard country-albums chart and scoring two Top 10 singles. Defining song: The album's finest slow song, "It Won't Hurt," begins with a line so characteristically honky-tonk that it's almost laughable: "It won't hurt when I fall down from this barstool / And it won't hurt when I stumble in the street." But there's nothing laughable about Yoakam's performance, which is imbued with wounded pride and quiet hopelessness. Like the best country songs, "It Won't Hurt" begins as a cliché and ends up being a universal truth.